Thank you for sharing your story. My mother lost her mom at 8 and I know her life was so different because of that life change. Looking forward to getting the worksheet. I’m sorry to hear about your mother’s loss. We don’t control what happens to us, but we are fortunate to be able to choose what we do with those experiences. I’m grateful to be able to share my story and inspire others toward lasting change. Thank you for sharing Vickie. Thank you for the courage to share your story Marianne. It’s very helpful to learn from someone who’s ‘been there’. Thank you Kathleen. I appreciate your encouragement! I had no idea you’ve been through those things. Thank you for sharing your story and using it to encourage and empower others!! I have enjoyed following and learning from you.. continue sharing your story!! It’s my pleasure to share Hannah. I’m very grateful to provide tools that can help others live more empowered lives. 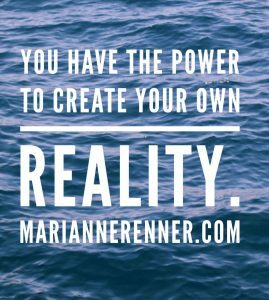 LOVE this, Marianne! We write our own stories. Let your light shine Do you suffer from accountability deficit disorder?